We all know that bullying happens; and at some point, almost everyone has seen the effects of it. 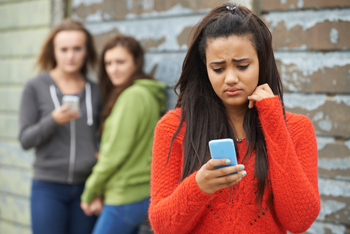 With all of the technology that is available now, we also see that bullying can happen at any hour of the day, anytime of the week. It is important to know the signs and to seek help when someone is being bullied to help minimize any long term effects. If you have a child and see any of these signs, there is a possibility that they may be being bullied. Most schools have resources and policies in regards to bullying that you can definitely utilize. You can help your child by talking with them and sharing different ways to handle situations when bullying occurs. If your child has a difficult time opening up, you may want to seek the help of a professional to share insight and learn additional ways to cope. Helping Anxiety and Depression symptoms with Exercise! Have you ever had the feeling that you thought your heart may pound right out of your chest? Started worrying so much about something that you felt sick to your stomach? Did not want to get out of bed and just cry all day? Is your child refusing to go to school? Complaining of head aches, stomach aches or crying when it is time to get ready for school? There are many factors that can cause a child to have anxiety about going to school from being nervous about doing well in school, being bullied, anxiety over making friends or not being comfortable in the classroom. All of these can cause signs and symptoms of anxiety. The sooner intervention takes place to help ease the anxiety of going to school, the better off your child will be. Seeking help for Mental Health is just as important as your physical health. It's important to get the help that you need today for yourself, a friend or family member... don't wait! Learn the faces of mental health and be supportive of yourself and others.